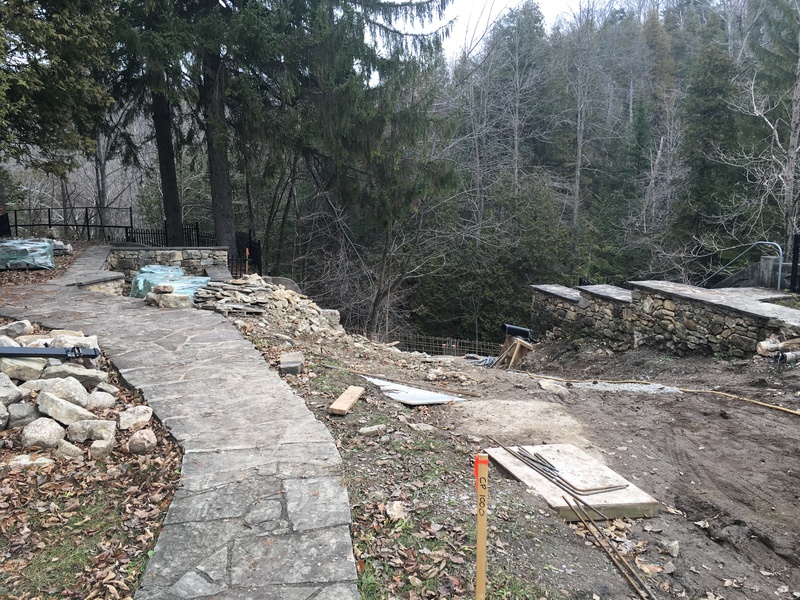 October 18, 2016 – Belfountain Conservation Area’s well-known terrace, which collapsed in 2015, stands once again. 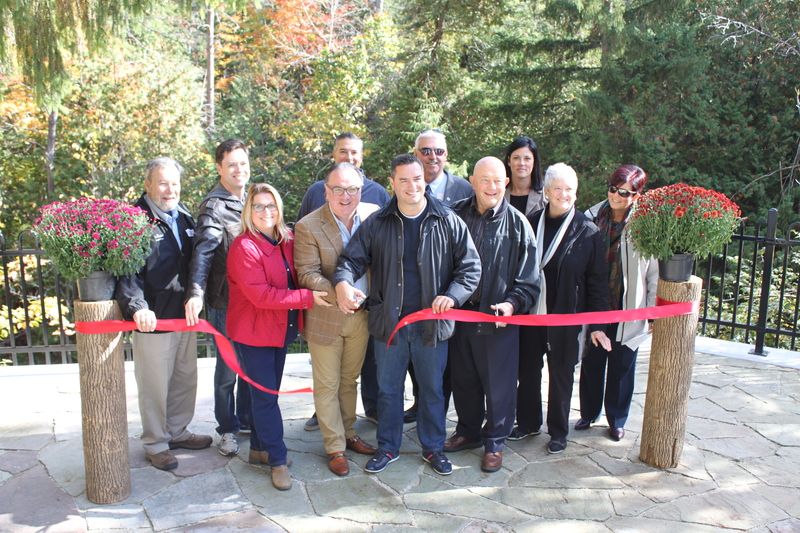 On October 14, Credit Valley Conservation (CVC) cut the ribbon on the reconstructed terrace, which sits atop the original site of Charles Mack’s cottage “Luckenuf”. The ribbon cutting ceremony was attended by CVC’s Board of Directors, senior management, staff and some municipal partners. The terrace is held in place by an approximately 17-metre-long, 45-centimetre-thick, four-metres-high concrete retaining wall. The original, century-old retaining wall began showing signs of cracking in 2013 and collapsed in 2015 due to heavy rainfall. The year-long project included design by architect George Robb, structural engineering services by Ojdrovic Engineering and construction services by Sunshine Design and Construction. With a budget of $555,000, Robb developed a plan to reconstruct the terrace’s 100-year-old retaining walls, restore public access and add new accessibility enhancements. Belfountain Conservation Area is currently the focus of a management plan and Class EA for the dam and headpond. The terrace restoration is the first restoration project associated with the management plan. The restoration was completed prior to the management plan being fully developed, as a result of the collapse in 2015. Detailed information about the management plan and Class EA process is available at www.creditvalleyca.ca/bcmp. Left to Right: Erin Councillor John Brennan, Oakville Councillor Tom Adams, Mississauga Councillor Karen Ras, Brampton Councillor Michael Palleschi (back), CVC Chair and Mississauga Councillor Nando Iannicca, Brampton Councillor Martin Medeiros, Halton Hills Councillor Bob Inglis (back), Mississauga Councillor Ron Starr, Caledon Councillor Johanna Downey, Orangeville Councillor Gail Campbell, CVC CAO Deborah Martin-Downs.